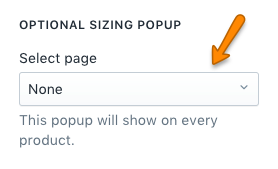 Note: Product pages in Pipeline 3 hand higher have an option for a size-chart pop-up without any code. The first part has the link text "Click to view", you can change that what you like. Keep the rest the same. The second part is the actual pop-up box content - You can modify the "My pop-up content" portion. Add the required text here that you want displayed in the pop-up box. This content can be wrapped in HTML <p></p> tags. Now you can test the pop-up on your site. For additional unique content, you can simply use another unique ID to call the pop-up and place your content within the a DIV that has that ID. 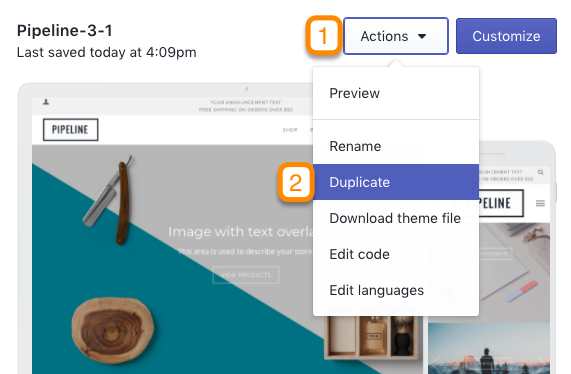 In (1) use a new ID like #popup-message-2 and then in the next section (2) reference that ID again and place your unique content within. Follow the same concept for additional pop-up content windows. That option is found in the Product page settings.